A primer in satellite system operation, Send/Receive extends the critique of media as commodity by asking questions concerning the people's right to access satellites. 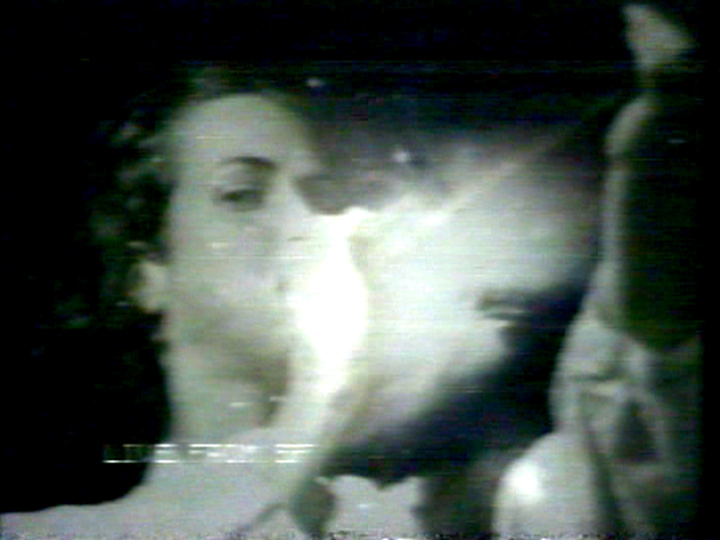 The objective of Send/Receive was specifically to connect groups of artists on the East and West Coasts via public satellite, and it was the first artist-initiated project to do so. Part I presents an in-depth study of the politics and possibilities of using satellite networks to establish a two-way communication system for public use, as opposed to the industry-driven, militaristic and mass media uses to which satellites are currently restricted. Part 2 excerpts a live satellite feed between New York City and San Francisco.